We value our distributors and strive to build strong and equitable long term relationships. We work together with you and provide the detailed support that is needed to make sales of AQUA PATCH a success. AQUA PATCH is in high demand and has the ability to generate outstanding returns on investment. 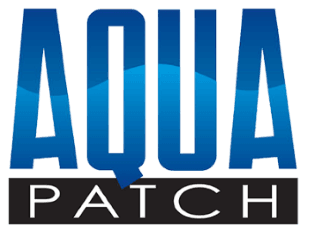 A variety of high demand market segments are available for sales of AQUA PATCH! Everyday, more public and private entities choose AQUA PATCH as the go-to product for making lasting asphalt repairs. Since AQUA PATCH stands apart from the competition, it’s no wonder AQUA PATCH Asphalt is leading the marketplace. AQUA PATCH is designed to be used all year round, in all types of weather. Unlike traditional and inferior asphalt patching products, AQUA PATCH can be applied year-round in all weather conditions, and can even be applied in standing water. AQUA PATCH works especially well in those problem areas that just can’t be repaired by traditional means. We work together to market AQUA PATCH, such as jointly performing demonstrations for your customers. We provide outstanding customer and product support in all aspects of the sales cycle. We provide full advertising materials such as flyers, videos, and giveaways and will participate together as necessary in trade shows, demonstrations, and events. We are open to discussing issues and solving them together as a team.